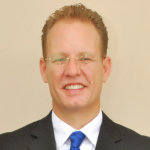 Mr. Robinson is a project management specialist with in-depth knowledge of the technical and commercial aspects of offshore development and experience that spans the globe. 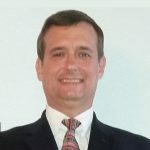 During a career spanning more than 25 years Mr. Robinson has held senior roles in diverse areas including cost estimation, information management, project and commercial evaluation, contracting, and engineering. He holds a Bachelor’s of Science in Marine Engineering from Texas A&M Galveston, a MBA from Herriot-Watt, and is a certified PMP. 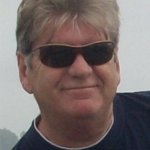 He is a sought after speaker on megaproject management and offshore technologies. Mr. Robinson co-founded Excipio Energy to provide a knowledge bridge between the offshore Oil & Gas industry and Offshore Renewable Energy; bringing Oil & Gas systems knowledge and practical experience to the Offshore Renewable Energy space; while simultaneously looking to apply Offshore Renewable Energy technology to improve offshore Oil & Gas projects. Mr. Engelmann has 25 years of experience working with international oil operating companies, engineering consultancy, oil field equipment suppliers and offshore construction companies. He has held roles in design engineering, manufacturing, fabrication and installation supervision, project management and engineering management. Roles held in business and leadership have offered exposure to unique opportunities in HSE, quality management, discipline engineering and leadership development, in support of the technical, operational, contractual, commercial, legal and financial functions of the offshore oil and gas business. Mr. Engelmann received his Master of Science in Civil and Environmental Engineering from the University of Houston and his Bachelor of Science in Maritime Systems Engineering from Texas A&M University. As the other co-founder or Excipio Energy, Mr. Engelmann realizes a lifelong interest in offshore renewables, and brings unique technical abilities and attention to operational details to bear on the challenges of taking new technologies from the prototype to practical in a marine environment. Mr. Beall has over 25 years of experience working with public-, private- and private equity-backed companies in both Financial and Operational senior roles. 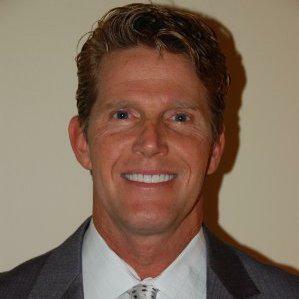 His background ranges from work with Fortune 1000 to entrepreneurial, family-owned companies, overseeing Accounting, Finance, Risk Management, Legal, Operations, IT, and HR areas. Throughout his career, Mr. Beall has been focused on creating intrinsic value by improving processes, procedures and people to increase sustainable financial performance. His approach encompasses strategic plans, efficient policies, workable procedures, talented people, and the correct information systems to support a company’s goals. Mr. Beall earned his Master of Business Administration from Southern Methodist University and his Bachelor of Business Administration Degree from Baylor University. Mr. Grosvenor has nearly 36 years of experience in the oil industry working primarily for international oil production companies, managing engineering consultancies, oil field and offshore construction and installation companies. He has also established and operated his own UK and international engineering consultancies. His experience has included several industry firsts covering many aspects of the subsea controls industry from electronics to long length umbilicals. His involvement in projects has been from concept selection through to managing the commissioning of large projects. Mr. Grosvenor is qualified in Instrumentation and Controls, Electrical and Electronic Engineering and Computer Engineering. Mr. Velasco has more than 37 years of experience in supply chain, logistics, and office start-ups. He speaks 4 languages fluently and has held senior supply chain roles in many countries, primarily in the America’s, Africa, Europe, and the Middle East. He is an invited speaker at industry events, and mentor to many. His track record of preparing new company offices to carry out complex projects is unmatched, often re-writing the company standards and procedures to conform to the local environment, and in all cases surpassing expectations. His people skills allow him to quickly integrate into any corporate or national culture, and quickly gain the trust and support needed at the local level. While doing so Mr. Velasco also pushes for continuous improvement in the tools and process used in purchasing, contracting, costs control, and logistics. 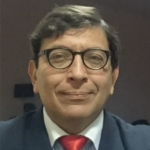 He is an expert at SAP implementation across the supply chain from bidding and procurement, to invoicing, to inventory management. Mr. Velasco is often called upon to provide expert opinions and consulting to energy companies and service providers looking to enter into new markets or expand in existing ones. Throughout his career Mr. Velasco has maintained the highest ethical standards even while working in challenging environments. 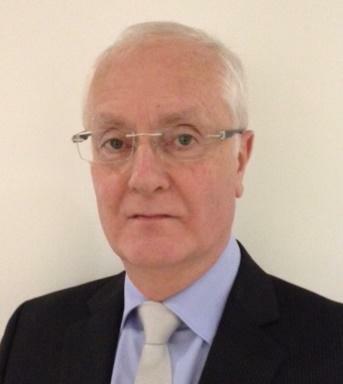 Mr. Byrne has over 40 years’ experience in Executive and Senior Management positions whilst executing major Projects. He has directly managed, Health, Safety, Environment (HSE) and Quality Assurance, Regulatory Compliance in the Design, Engineering and Construction of numerous offshore and onshore Oil and Gas facilities, including floating systems and fixed structures along with onshore and offshore Pipelines, plus Petrochemical and similar Projects. Mr. Byrne has extensive experience in all facets of Oil and Gas facilities including offshore structures and pipelines, from Design Phases, Project Management, procurement of project materials including line-pipe and associated fittings, gas turbine compressors packages, skidded packages and equipment throughout the world (Japan, Europe, North America, South America), construction management in Europe, Canada, North & south America, Africa etc. 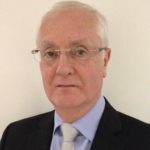 Mr. Byrne has worked extensively on North Sea Offshore Projects and throughout the British Gas and regional Gas Boards in the UK during the construction of the “Super Grid” and the regional Gas Board’s step down systems and distribution networks. He has been responsible for a number of training programs designed to optimize and utilize local personnel and retrain existing personnel in redundant positions. On a number of occasions, Mr. Byrne established new Company infrastructure and set up offices, HSE, recruitment, training and management systems etc. as well as technical and fiscal responsibility for Operations Management, HSEQ, Regulatory Compliance and Certification on projects up to US$6.5 billion. He has provided Expert Witness services and Engineering Authority Oversight; as well as providing accreditation assistance to Companies seeking ISO 9000 series certification.